They're letting me take over! The super cool folks over at Author Stalkers Unite are giving me the reins during the Release Day Celebration for The Phoenix! Come visit me from 10-11 a.m. ET, and the other authors, taking over for the day and find games, giveaways, and all around fun conversation! See you there, July 10th! Twitter 'Egg' profiles and dummy accounts are ineligible for entry and will be blocked. Authentic accounts only are eligible to win. Follow The Kids Did It on Facebook and Twitter then enter for a chance to win! It's summer. The sun is hot and so are the books. And who among us could not use a $250 Amazon Gift Card to cool off with this summer? The authors of the Blazing Indie Collective bring you a chance to win just that. And while we know you're going to want to use that $250 on our books, we won't check up on you. If you want to sneak in the purchase of a sun hat or beach towel, feel free! Melanie Karsak is by far one of my favorite authors. She crosses genres with ease running the gamut of zombie fiction to steampunk to historical fantasy. 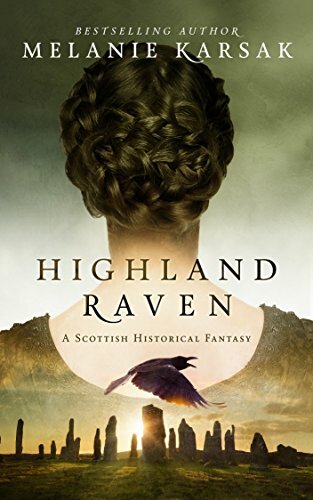 Her latest novel Hihgland Raven takes Shakespeare's lovely Lady Macbeth and follows her through her youth. We see the young lady join the coven of her destiny and learn not only about life, but love as well. With smart characters that invoke the spirit of the forest, the lakes, and the land, Karsak's novel is an exciting start to her promising series! If you enjoy historical fantasy, and appreciate Shakespeare... even if you don't... this is a great novel that captures realistically a world of witches and fairies, warrior women and barbaric men, and a woman exploring a life she had no idea existed. I'm excited to see Lady Macbeth in a light I'm not sure Shakespeare would have bothered with but that offers a back story to one of literature's most tragic females. Sultry scenes sneak up on you, but don't overwhelm the story itself. ​How did you spend the National Council of English Teacher's Day on Writing? If you are a writer, maybe you were typing away. Perhaps you looked at your latest draft. Did you spend time revising, painstakingly considering every word you've already committed to the page, judging its value and what it adds to your work. Or maybe you did what I did. I spent the day anticipating. I seem to dream about book release day now, even though it is worlds away in June. But a gal has to look forward to something in life, and even if I can't find time every day to add to the plot of my mermaid tale, I can foster the excitement that surrounds it all. From outlining to drafting, writers have a tendency to trap themselves in the process. I'm focused on the delights of it all right now. Thanks for coming along on the journey!